The Coroner’s Office in St. Tammany Parish, Louisiana has identified a woman recently killed in a pedestrian accident in Mandeville. An article on the police report and the coroner’s investigation is available here. Dr. Charles Preston, the coroner of St. Tammany Parish identified the woman killed as 37-year-old Cassandra McClain of Bogalusa, Louisiana. According to the report, Ms. McClain died of injuries suffered in the collision—including multiple blunt-force traumas to the chest, abdomen, and head. According to the Louisiana State Police—which is still investigating the crash—the victim was walking along Highway 190 in Mandeville when she was struck by two vehicles. At the time of the incident, she was not carrying a cellphone or any form of identification. According to another news source, the drivers of both vehicles submitted breath samples to the Louisiana State Police. Neither showed the presence of alcohol. After discovering the victim carried no identification, the St. Tammany Parish Coroner’s Office issued a news release asking the public to help identify the woman. The coroner later confirmed that information provided in response to that request helped to identify Ms. McClain. Pedestrian accidents are a widespread problem in the U.S. In 2014, 65,000 pedestrians were injured, and 4,884 killed in motor vehicle accidents in the United States. In Louisiana, 105 pedestrians were killed that same year—equal to nearly 14% of all traffic fatalities in the state. 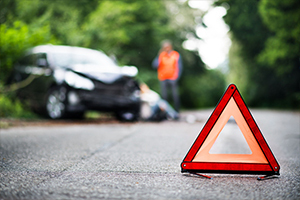 If you or a loved one has been injured in a traffic accident, call the experienced Louisiana Pedestrian Accident attorneys at Gauthier Amedee at 225-647-1700. You can also submit a free case evaluation form on our website. When you call, you will speak with a leading Louisiana Pedestrian Accident lawyer for FREE. Call our experienced Louisiana pedestrian accident lawyers. Our legal team will examine every detail of your case and provide the experienced, compassionate and dedicated representation you need to secure the maximum compensation for your medical bills, lost wages, pain and suffering, and more. We’re here to work hard for you and to make sure that your rights are fully protected. Don’t delay. Get the help you need today with Gauthier Amedee.